Enjoy the Halloween!☆ Halloween KIMONO Style & Free of Halloween makeup event @TOKYO : Happy Aging & Beautiful Anti Aging loving. Tomorrow is Halloween ! From tonight , the city with people who enjoy Halloween is crowded. In Tokyo's Shibuya and of Osaka Minami , - as police officers have been deer high alert been mobilized. 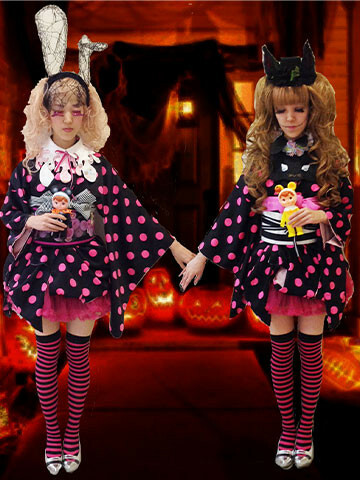 Kimono rental menu of Halloween limited time in appearance from kimono rental shop Tokyo Kawaii Musee in Laforet Harajuku! The wearing short as one-piece kimono , in volumy piled a tutu. Neck in colorful impression in pop in wearing the collar of one point thing. If you brush the knee high socks and high heels , fancy kimono style of Halloween unique is finished! 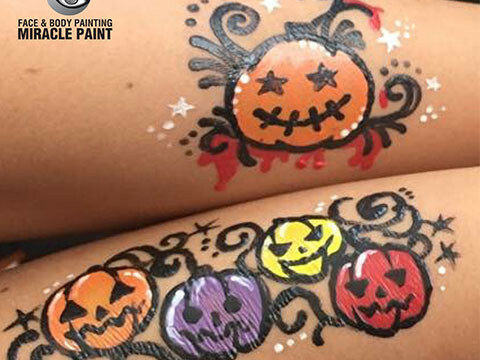 Are being conducted Shibuya version of Squeeze of domestic peel off paint for face paint free face painting service " Harajuku paint " using the " Miracle Paint " and " Shibuya paint " in Halloween limited time. Also is a topic as popular booth shooting spot , including foreigners such as can matrix of every day one hour waiting in Harajuku.